Germany has an extensive domestic bus network although most travellers stick with the convenient rail network unless they want to get to smaller towns, particularly in the Bavarian Alps and along the Romantic Road. However coach travel has recently become a popular alternative to the train with services to destinations throughout Germany and to other cities in Europe. The most frequent routes are those to and from Berlin. Domestic travel within Germany starts at €5 and international services start at €22. Flibco operate primarily as a shuttle bus serving budget airports and also provide transport to stops en-route. ünchen–Stuttgart Express run coaches linking Munich and Stuttgart with stops en route at Augsburg and Günzburg. Fares start at €9. The meta-booking engine Bus Linien Suche lets you search multiple coach operators for travel within Germany. 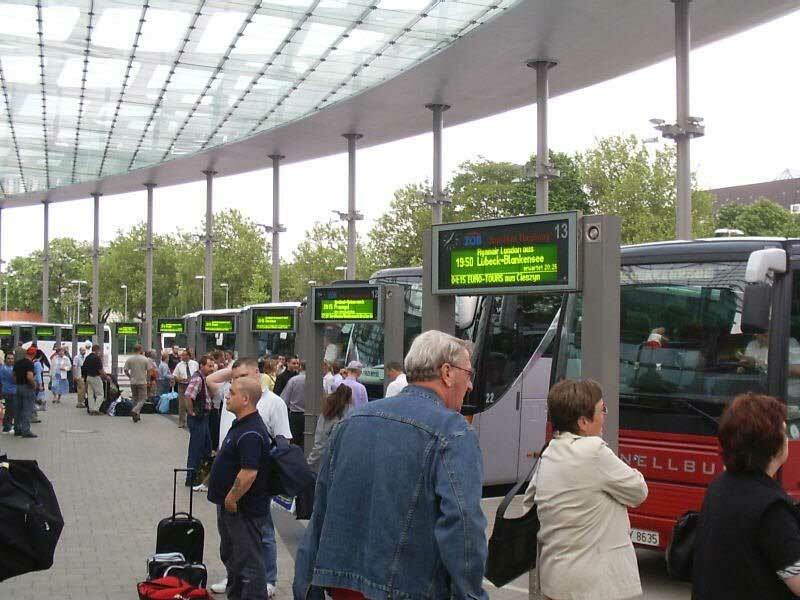 Germany is well connected with international coach services to most European countries with coaches operated by Busabout, Eurolines, Flibco, Flixbus and Hellö. Eurolines have international coach services from many cities throughout Germany including Berlin, Cologne, Frankfurt, Hamburg, Hannover, Heidelberg, Mannheim, Munich and Stuttgart. You can use a Eurolines Pass to travel to Berlin, Cologne, Frankfurt, Hamburg, Munich and Stuttgart. Flibco operate primarily as a shuttle bus serving budget airports in Belgium, Germany and Luxembourg and they operate from Frankfurt to Nancy and Luxembourg. From Luxembourg it is possible to transfer to coaches to destinations in Belgium and France. Central bus stations (busbahnhof) are usually located near the main train station (hauptbahnhof) in most larger towns and cities. However big cities such as Berlin and Hamburg have large dedicated coach terminals called Zentralen Omnibus-Bahnhof (ZOB).